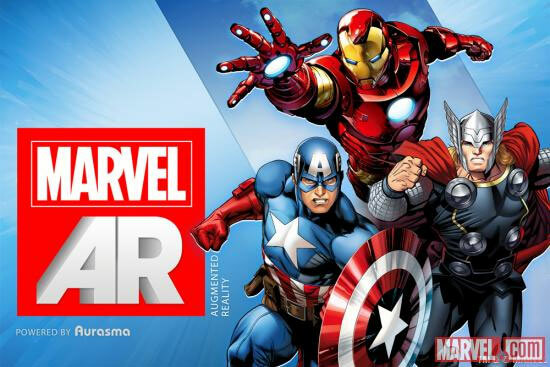 Not content with simply doling out free digital comics to fans who favor the tangible page, Marvel is now giving readers a new reason to reach for their tablets: augmented reality. Android and iOS devices will be able to look beyond the page using Marvel AR, an Aurasma-powered app slated to launch alongsideAvengers vs. X-Men #1 this April. When pointed at a compatible comic, the app will server up creator commentary videos, extra art and interactive 3D models of Earth’s greatest heroes. Don’t worry, your standard Marvel Comics app isn’t being replaced — in fact, it’s getting a new line of sequential funnybooks called Marvel Infinite Comics. “Writers and artists now have a whole host of new tools at their disposal to redefine the comic book medium,” Marvel Comics Editor in Chief Axel Alonso said at SXSW this week, “Current tablets and smartphones, along with comiXology’s Guided Viewtechnology, allow us to develop new, full length stories for a different medium that are very much truly comics — but experienced by readers in a way no other major company has ever executed.” The digital-exclusive series kicks off with Avengers vs. X-Men #1 Infinite, which incidentally, will be free to folks who pick up the similarly named physical book. Ready for the revolution ReEvolution? Check out the links below for Marvel’s official announcement and CNET‘s hands-on video.